Settings for golf resorts don't get much better than this! Tucked along the banks of the St. Mary River and at the base of the Rocky Mountains, St. Eugene is not your average golf resort. Certainly, the awesome 7,007 yard Les Furber-designed golf course is the trump card. However, when you consider the luxurious boutique hotel - situated in the restored Mission building - health club, exquisite dining and the full-service casino - you've got yourself a winning hand every time! Services: Power carts ~ club rentals ~ club storage ~ licensed dining ~ CPGA lessons ~ complimentary grass practice facility ~ tournament and group bookings ~ food & beverage. Additional resort food & beverage options include the Smokehouse Dining Room, Smokehouse Lounge and Fred's Saloon in the casino. Call for custom packages; 2 night, 2 round packages start at $129 pp/day. 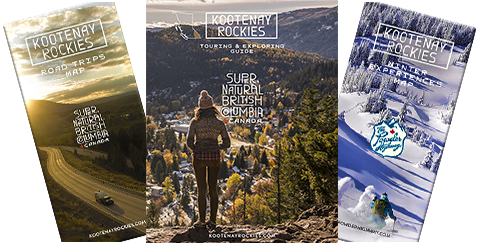 The Kootenay Rockies region is a premier golf destination and the East Kootenay corridor is one of the hottest golf destinations in North America. St. Eugene Golf Course is surrounded by 6 additional golf courses a short drive away. Two preferred Partner Courses include Wildstone and Shadow Mountain. The Resort's reservation agents can help with booking any of the enticing golf packages that include play at St. Eugene along with tee times at other courses in the area. Check their website for more details. St. Eugene Resort and the mighty Rocky Mountain backdrop. Settings for golf resorts don't get much better than this. Alongside the St. Mary River. A Les Furber designed golf course. An awesome 7,007 yard course.